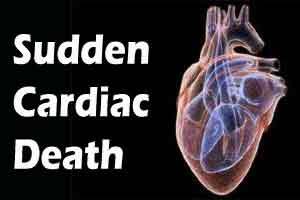 New York: Scientists at a US university have developed a possible treatment to prevent hypertrophic cardiomyopathy (HCM) – a common cause of sudden death in young athletes – using a study conducted by researchers more than 15 years ago. David Warshaw and colleagues discovered in 2000 the precise malfunction of a specific protein in the heart that leads to HCM, an inherited disease that can cause the heart to thicken and stop pumping blood effectively, leading to heart failure. Now, a team of scientists from Harvard Medical School, Stanford University School of Medicine, University of Colorado, and MyoKardia Inc. in San Francisco, a biotechnology company formed to develop such treatments, has used some of Warshaw’s earlier findings to develop a possible treatment to prevent HCM. “This may offer a generalised approach to solving hypertrophic cardiomyopathy,” wrote Warshaw, professor and chair of molecular physiology and biophysics at the University of Vermont (UVM) College of Medicine, in a column in the February 5 issue of the journal Science. “I think it’s extremely promising,” he added. HCM can result from different mutations of many proteins in the heart. One of those proteins, myosin, acts as a tiny molecular motor in every heart muscle cell. It pulls and releases on a rope-like protein, actin, in order to make the heart muscle contract and relax as it pumps blood. A mutation of myosin can “alter the motor’s power-generating capacity” and make the heart work improperly, which in turn causes the heart to enlarge, Warshaw said. For many years, scientists assumed that the mutation caused the myosin to lose its motoring power, throwing off the whole heart engine. But in the 2000 study, Warshaw published in Circulation Research, he and colleagues found that the problem wasn’t diminished power in the myosin; it was too much power with this mutation. Using mice bred with the mutation, the team of scientists who found a way to address this problem tested a small molecule inhibitor that dials back the myosin motor’s power generation to a more normal level. The mice got the drug containing the molecule as early as eight weeks old, and amazingly it prevented the HCM from surfacing. “When they gave the drug to a young mouse with the mutation, the mouse’s heart developed normally,” Warshaw said. As HCM runs in families, an infant who tests positive for the genetic mutation could receive the treatment and stave off the disease, Warshaw said.